Bok choy picked at an early state, with a milder flavor. 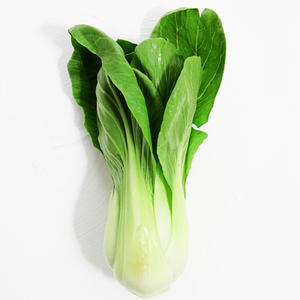 Bok choy is a chinese cabbage, with tastes similar to broccolli and green cabbage. Baby bok choy is high in Vitamin A, K, and C, and dietary fiber.